New York-based Shake Shack has opened its first branch in River North in Chicago. Along with burgers, Vienna Beef hot dogs and crinkle cut fries, there are "concretes" (frozen custard) blended with ingredients from local companies Glazed and Infused Doughnuts and Bang Bang Pie & Biscuits. 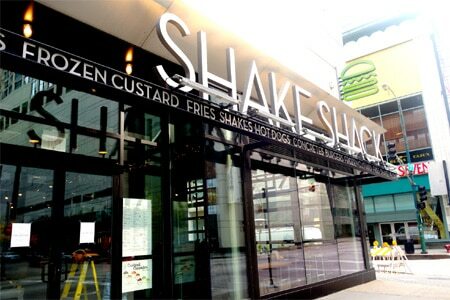 Shake Shack, 66 E. Ohio St., Chicago, IL 60611, 312-667-1701.